Happy New Year everyone! Wishing you all a foodilicious 2014! 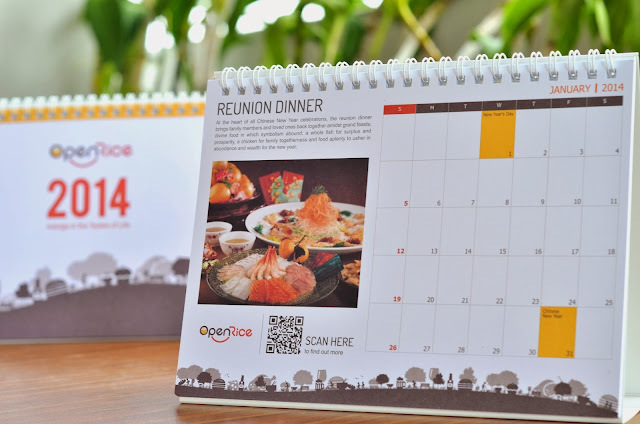 We are giving away 28 copies of OpenRice Singapore Calendar to our mycc readers! Every page comprises of a QR code which includes compilations of top restaurants and cuisine recommendations in Singapore! Simply be in touch with us by liking our Facebook page and sending us a private message! 有興趣者請即 'like' mycc Facebook 網頁 及Facebook私信我們!